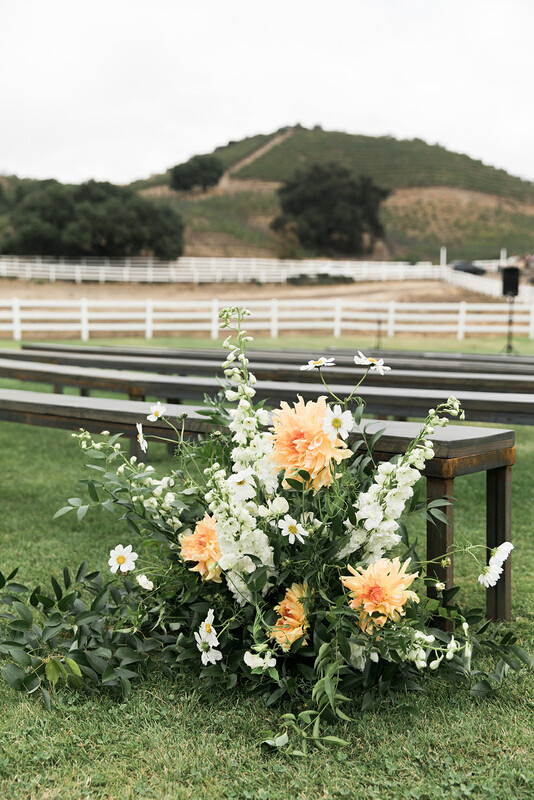 The backdrop of vineyards, zebras, rose gardens, and endless scenery are a few reasons why Saddlerock Ranch holds a special place in our little Malibu hearts. 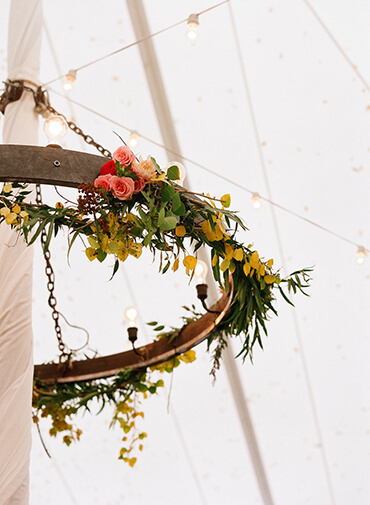 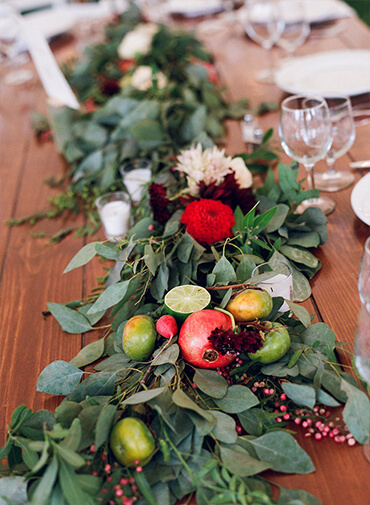 We loved building the simple details and incorporating fruit, colors, grasses and texture everywhere. 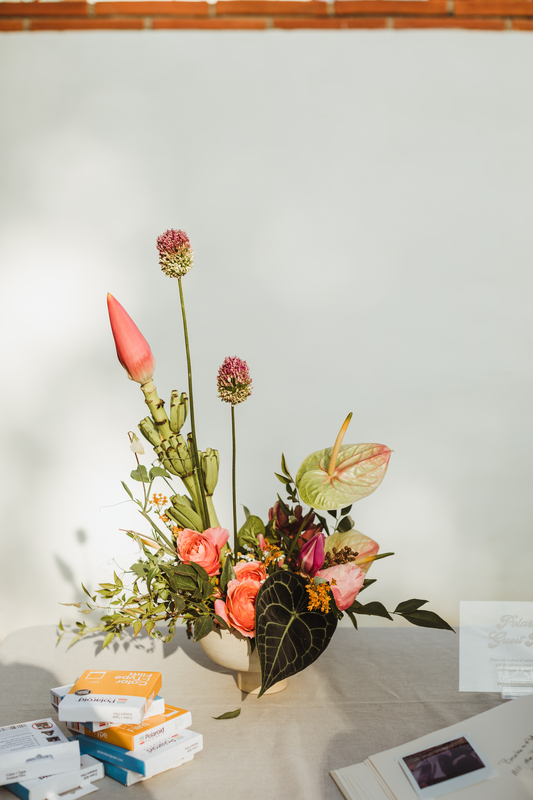 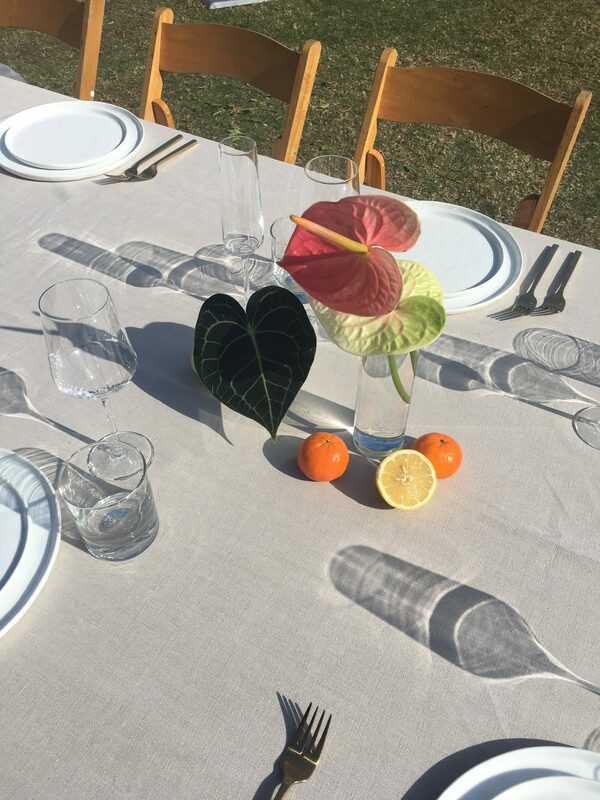 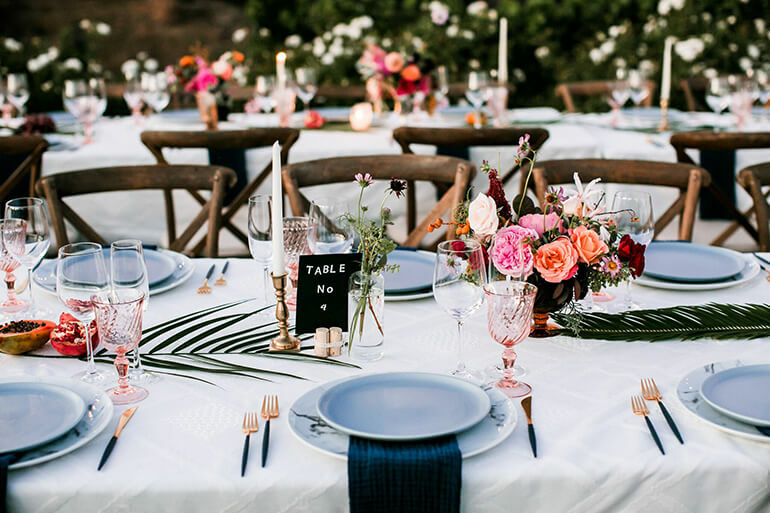 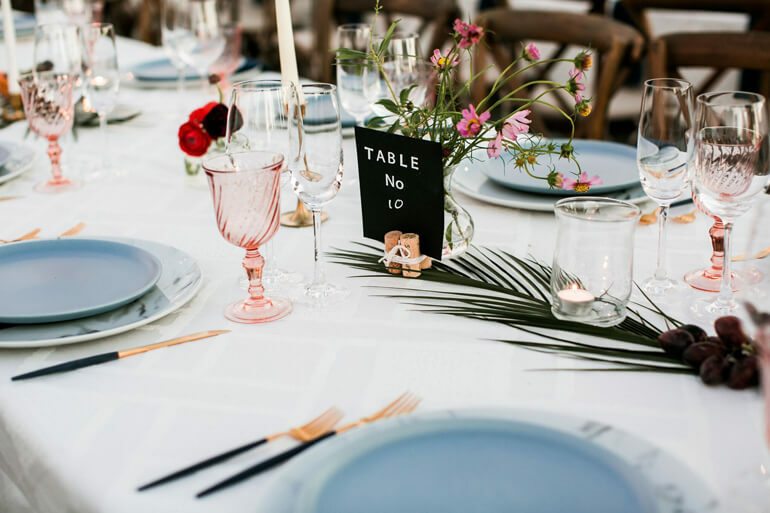 Down the tables, we used papaya, clementines, palm dates, a mix of pinks and oranges, pampas grasses and delicate greens. 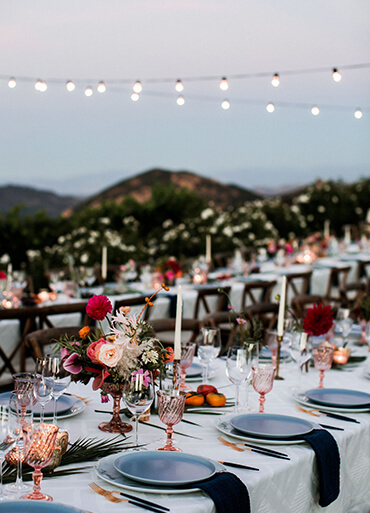 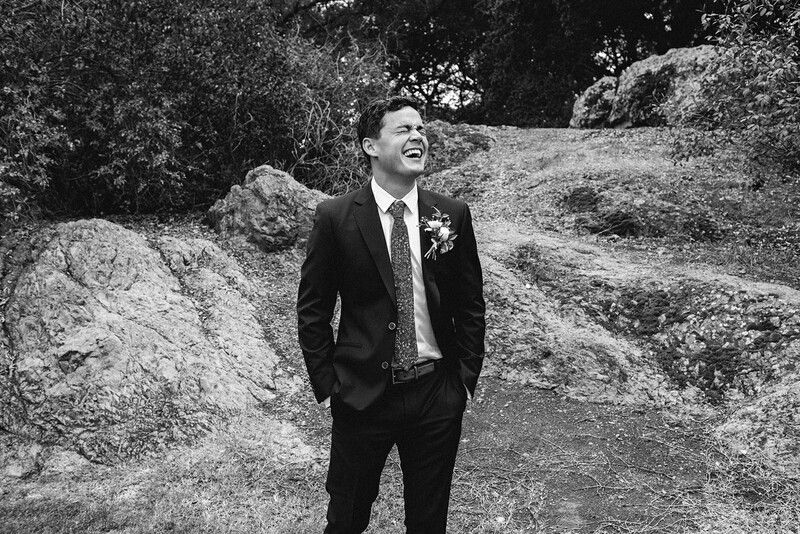 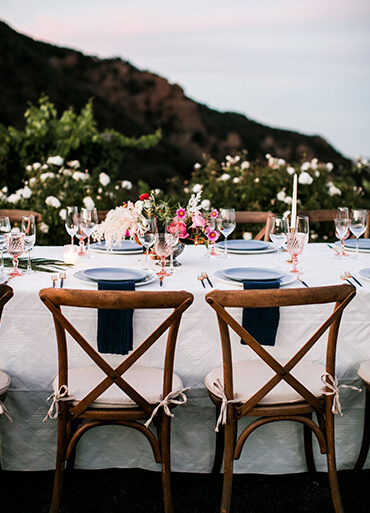 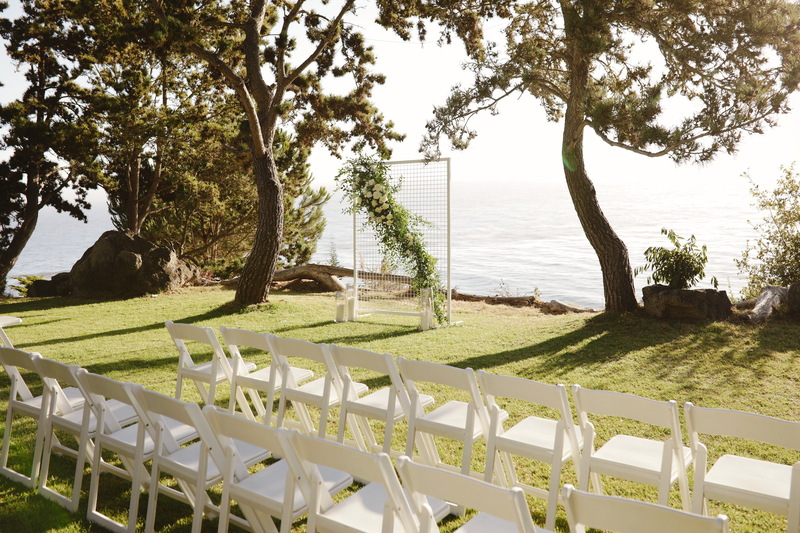 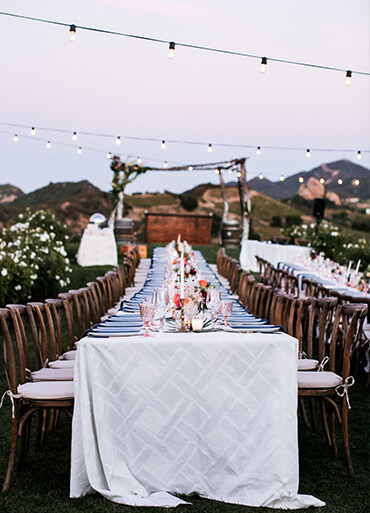 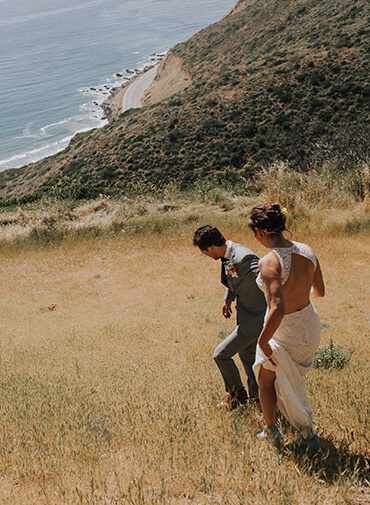 This Malibu wedding was set on a lush vineyard, complete with ancient oak trees and rolling hills. 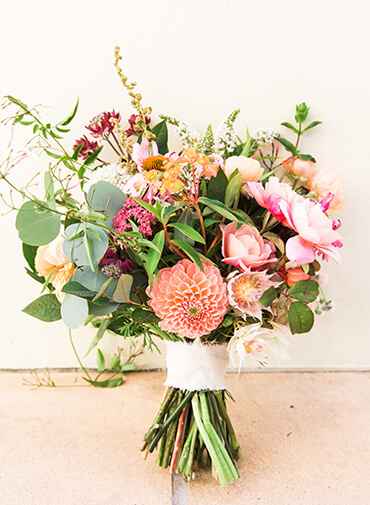 We used late summer florals like dahlias, local garden roses, jasmine, foraged pistachio branches and plum sweet peas. 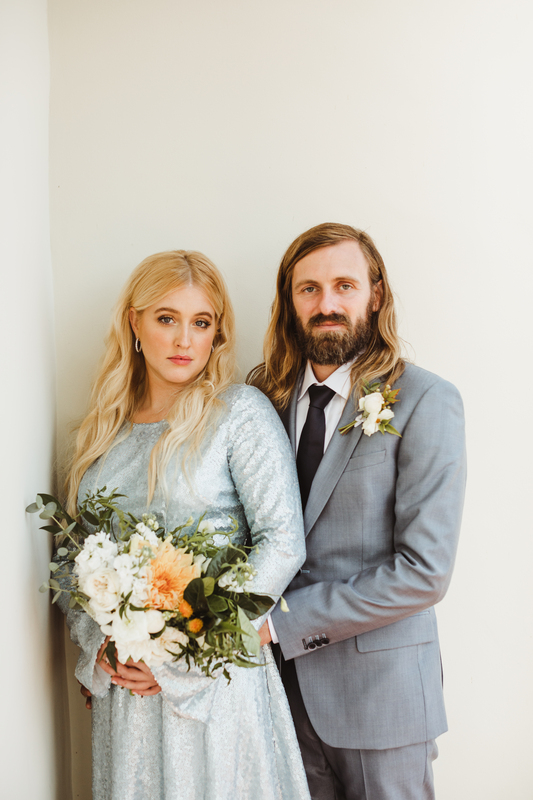 Each arrangement was unique and the tables were full of whimsy and joy - much like these two lovebirds. 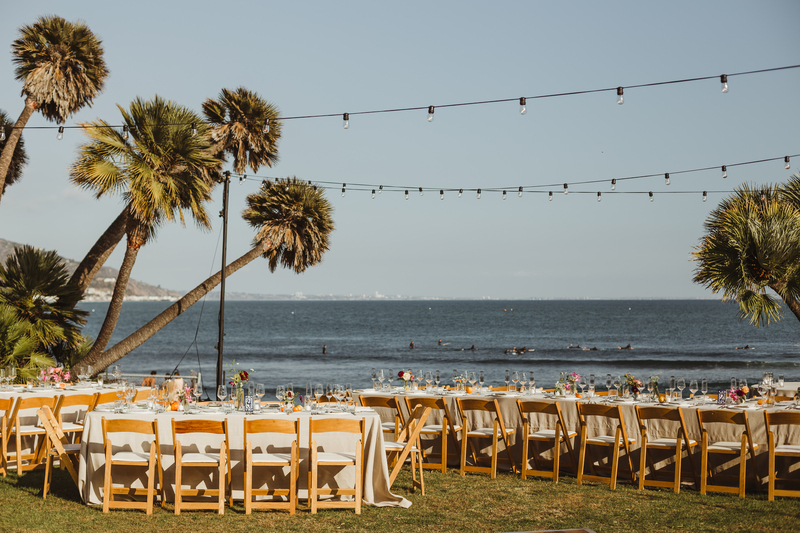 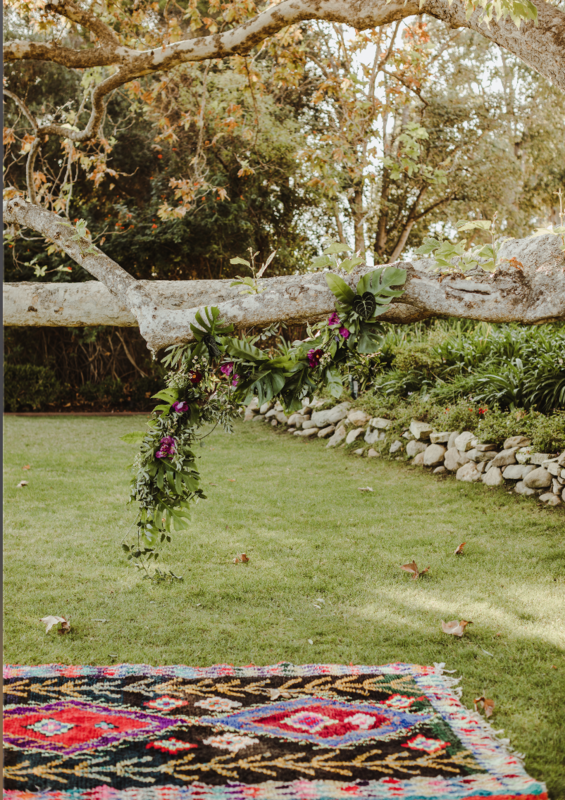 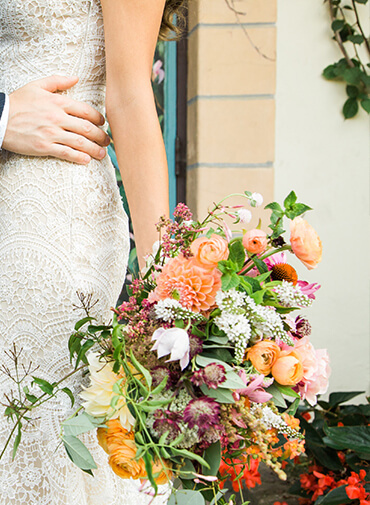 One of our most colorful and individual yet, this wedding was set right under the shadow of First Point - legendary surf break at the Malibu Pier. 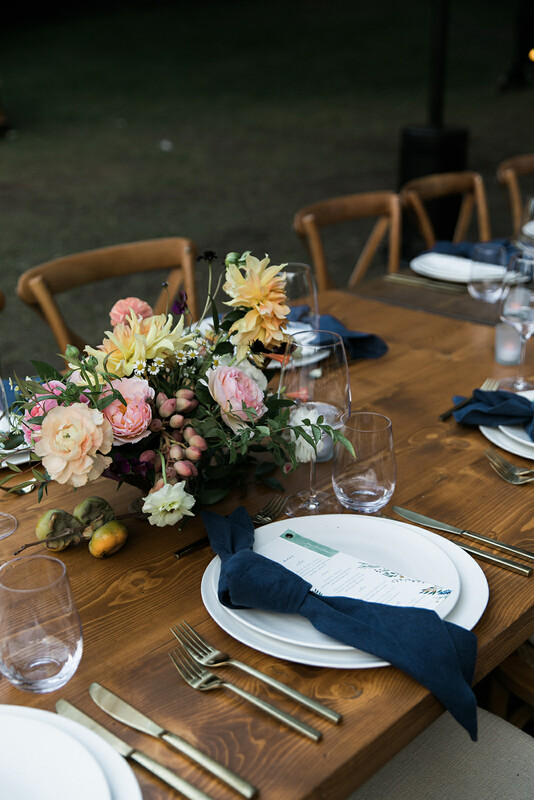 We adorned the tables with clementines, lemons, tropical leaves and bright florals to withstand a warm summer day. 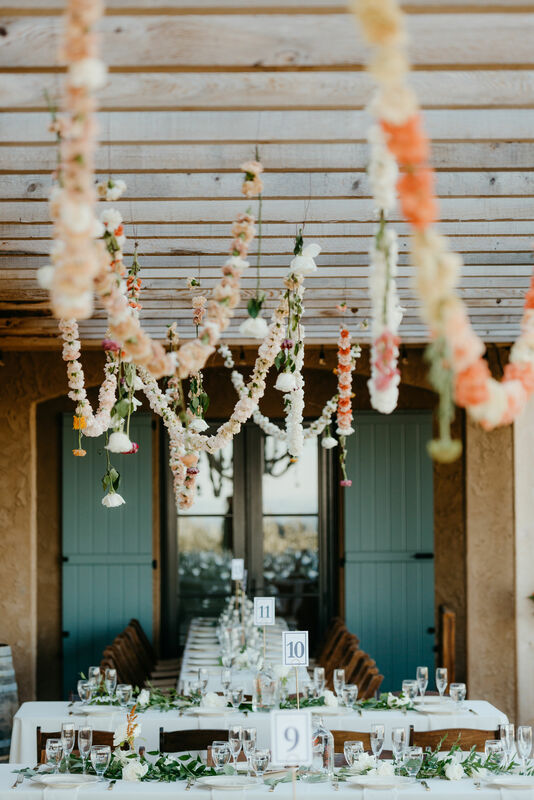 We used lush greens to create a backdrop behind their ceremony and on the long farm tables, mixed pinks and oranges throughout. 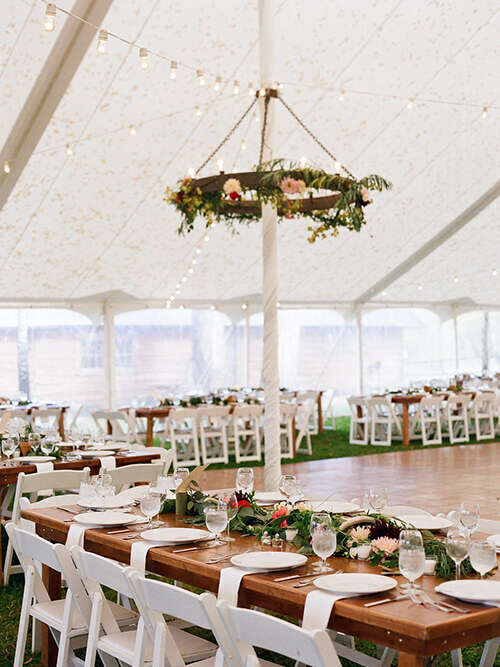 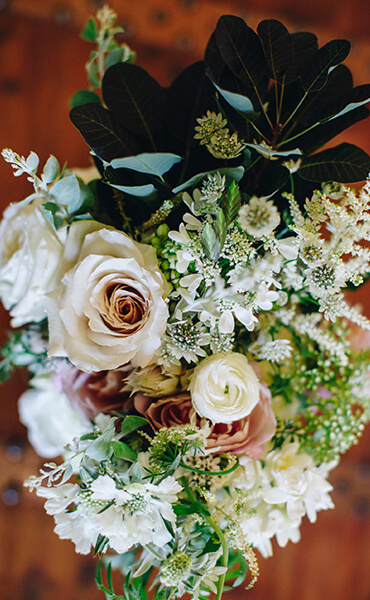 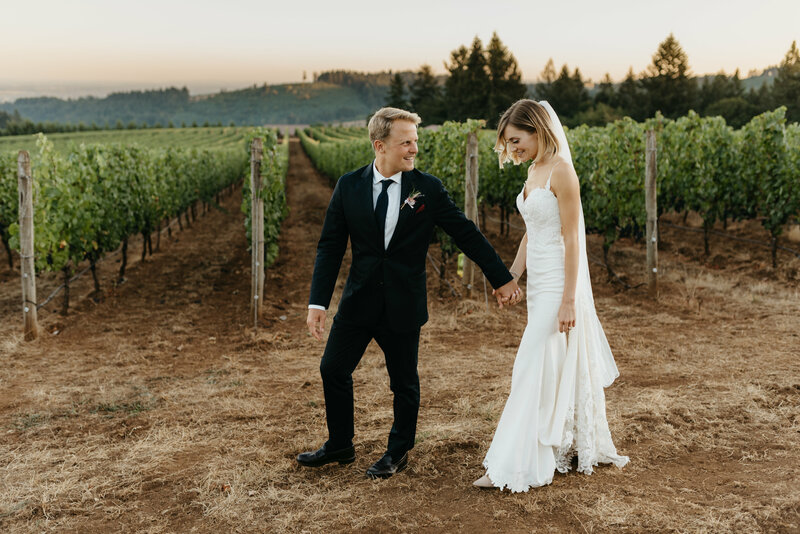 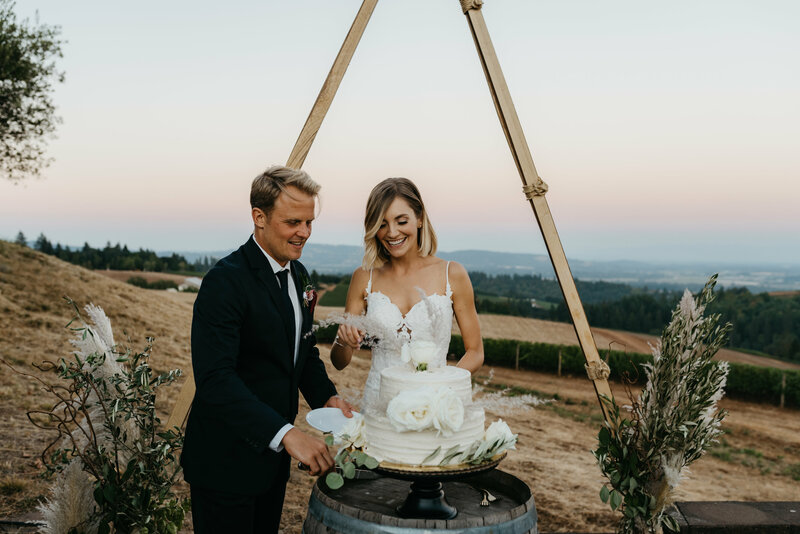 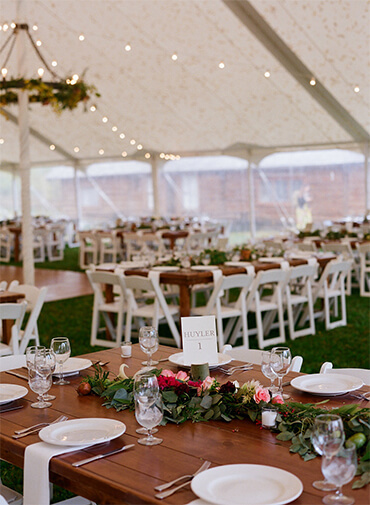 This sweet couple got married on a gorgeous vineyard in the Willamette Valley, OR. 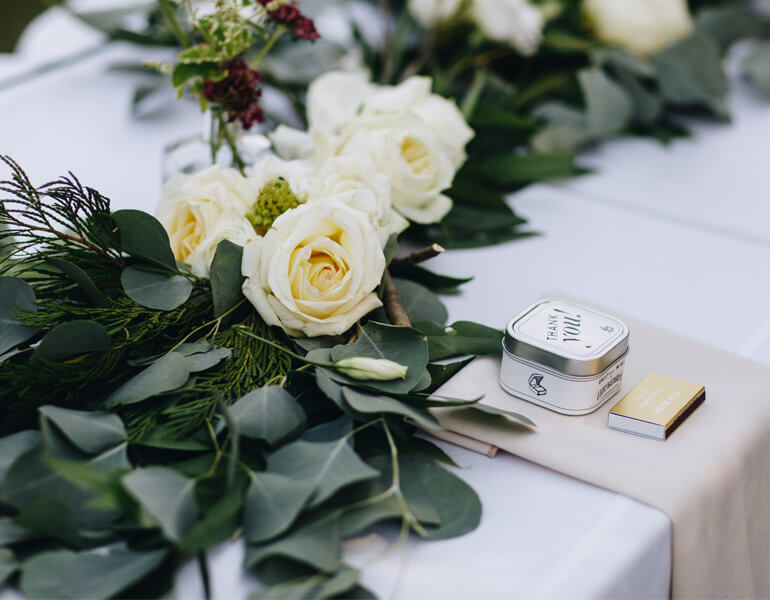 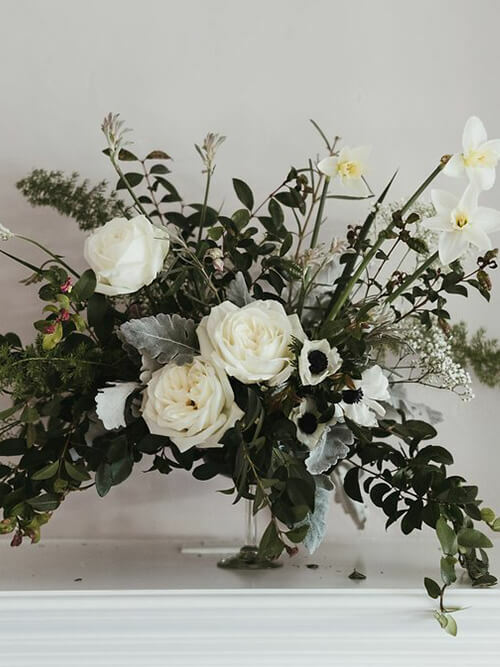 The bride's hometown, we used lots of foraged greens like olive, dogwood and queen annes lace. 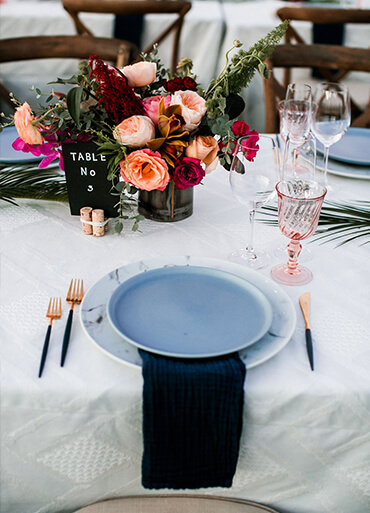 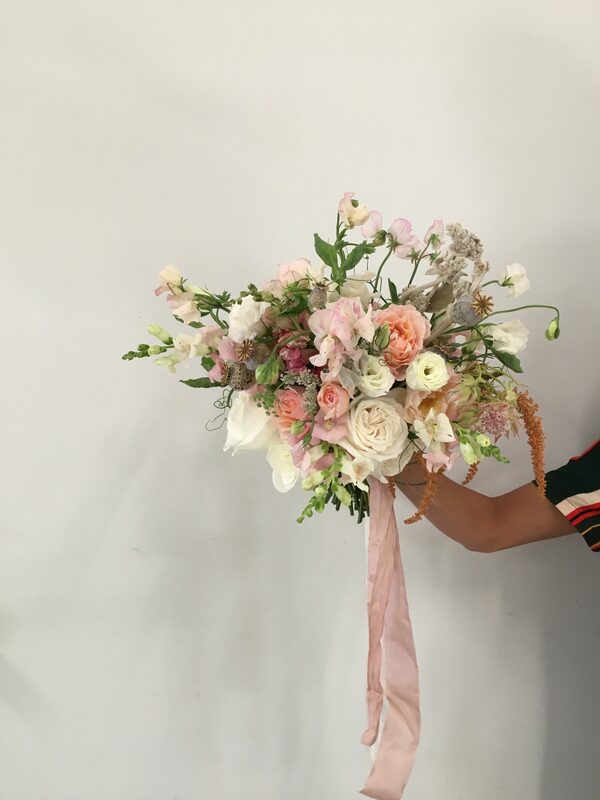 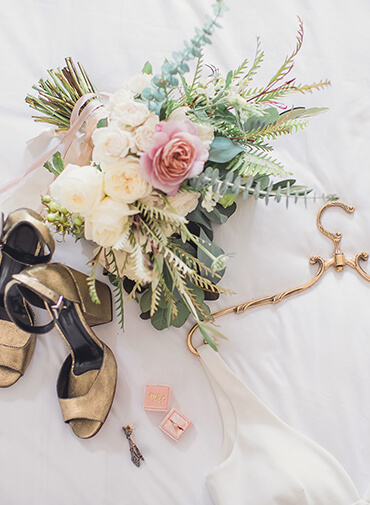 We worked with local vendors to include flowers for her palette, soft colors with pops of color. 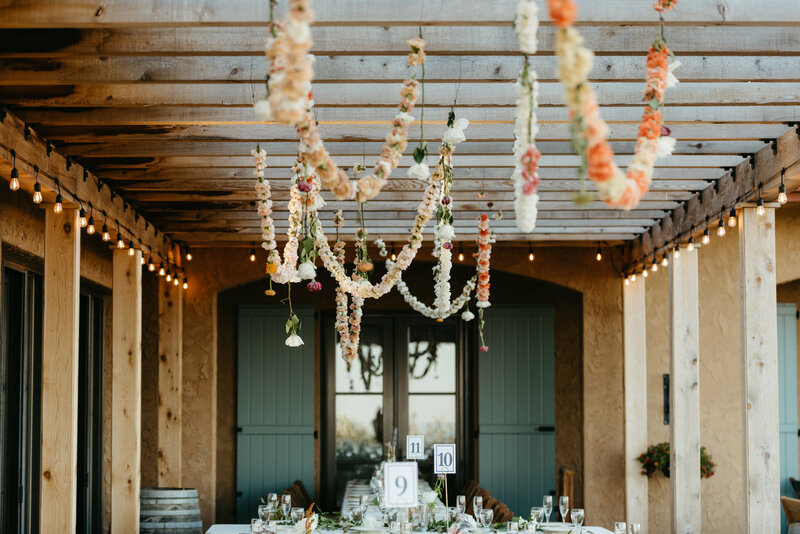 We hung hundreds of bright carnations above the reception to make the space even brighter. 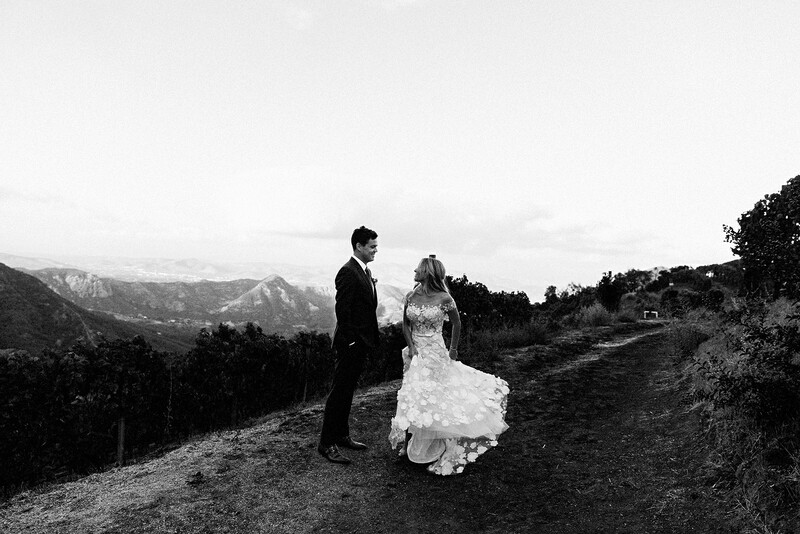 This stunning couple was married in Big Sur, CA on a private property overlooking the sea. 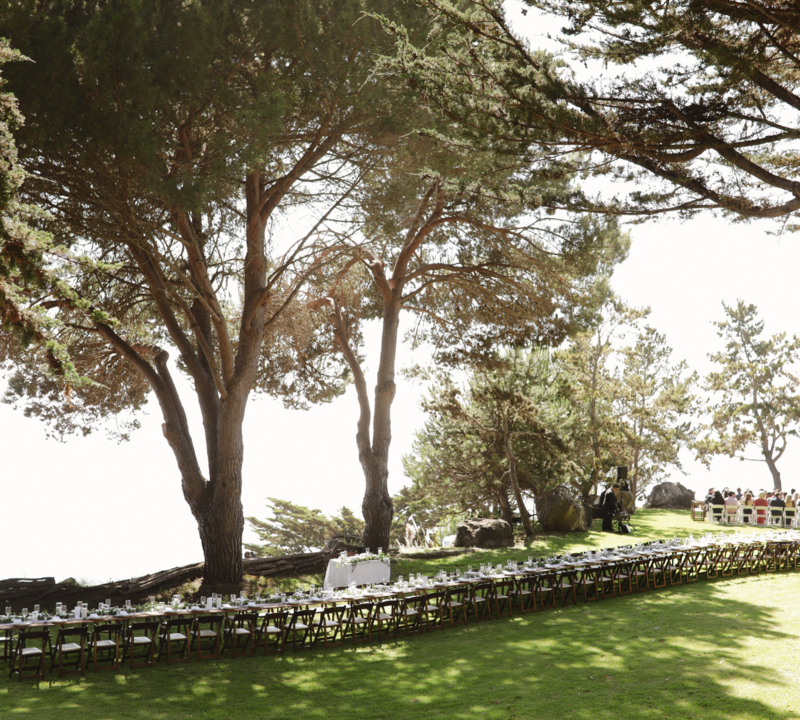 They chose modern, simple yet wild florals with dark greens to compliment the rugged and full landscape. 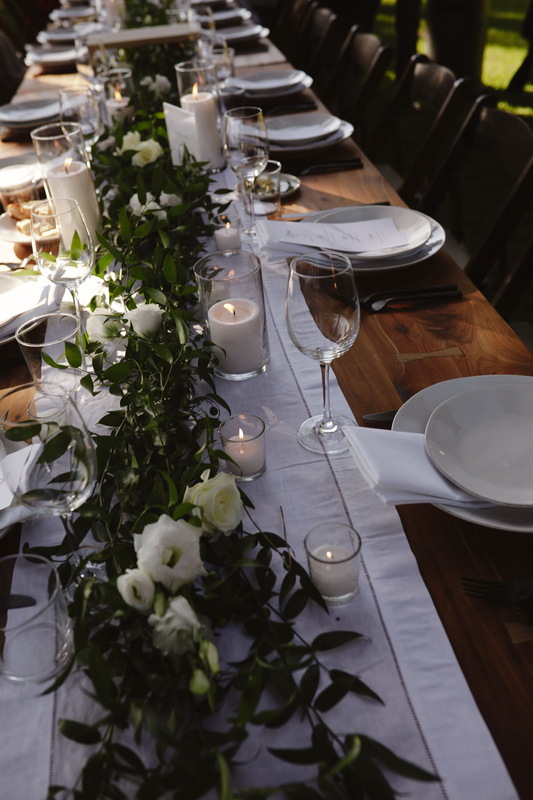 We used italian ruskus and a mix of roses and lisianthus down the table that beautifully sat 100 guests. 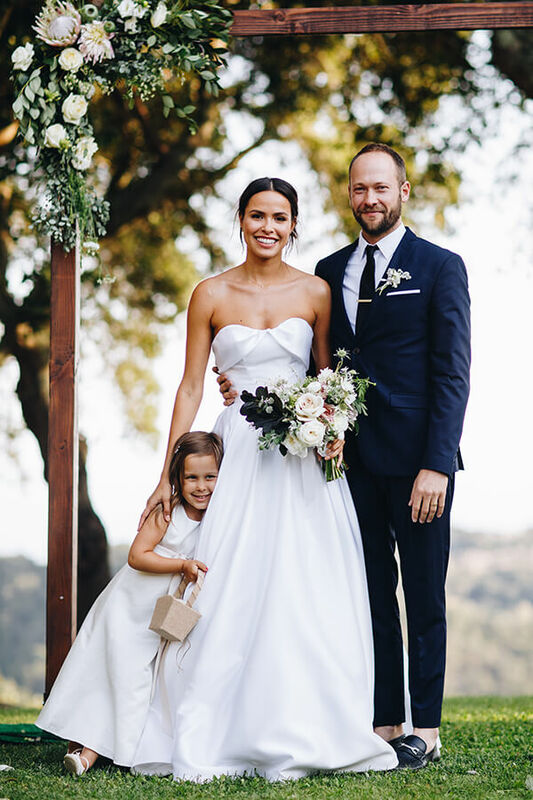 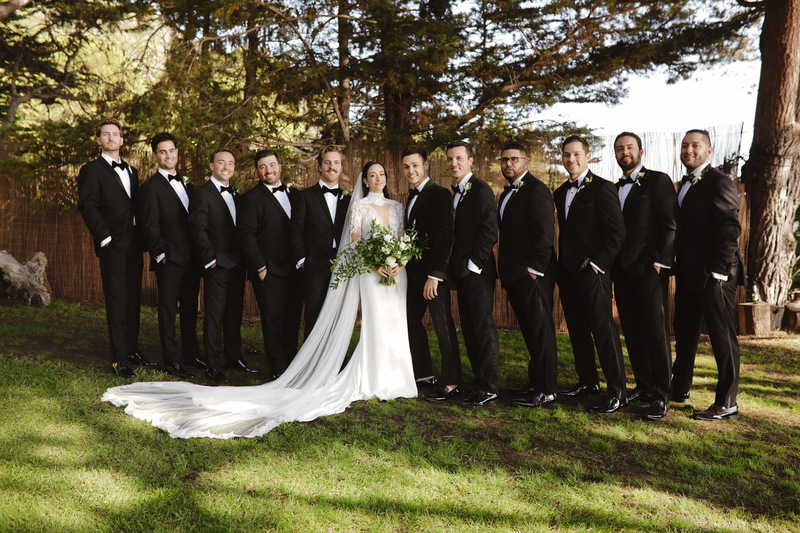 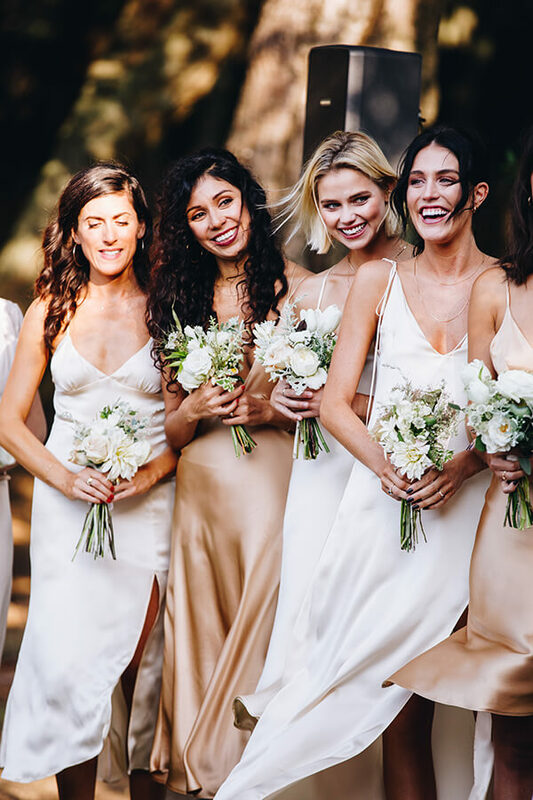 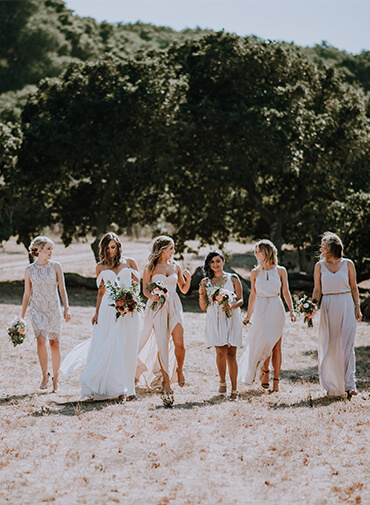 Emily and Mike wanted to gather all their friends above the Los Olivos hills in a gorgeous outdoor ceremony. 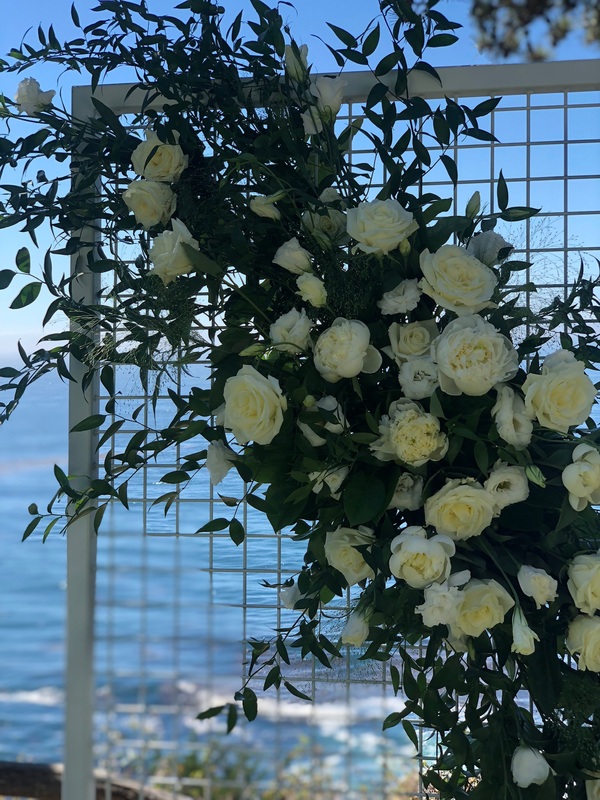 We incorporated olive branches, blueberry bush, herbs and clusters of bud vases to keep the tables and ceremony green. 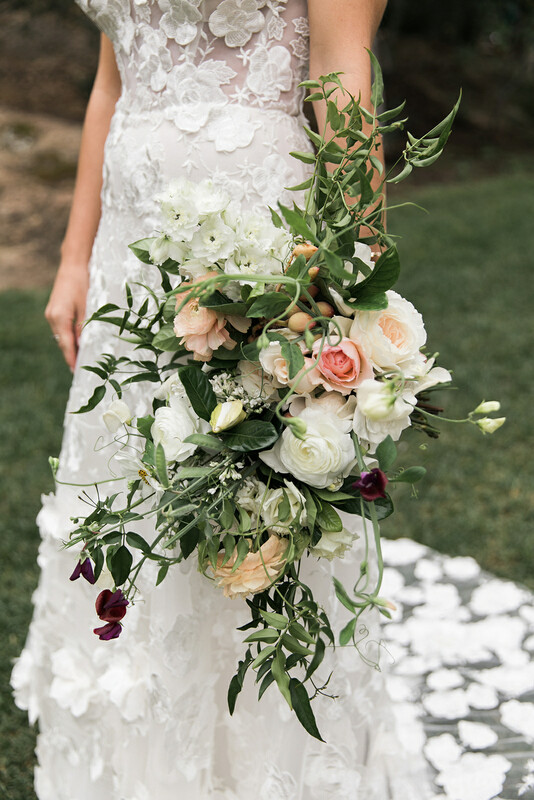 We sourced garden roses from local farms and used pops of plum and burgundy to bring out the ivories and creams in the floral and dresses. 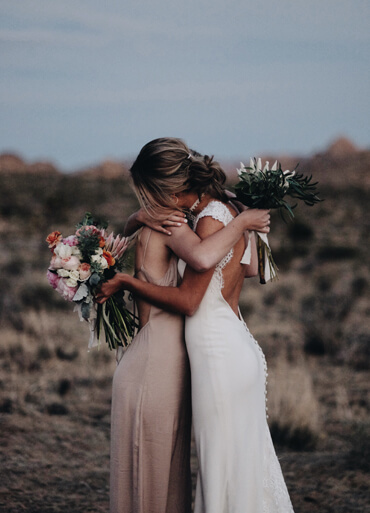 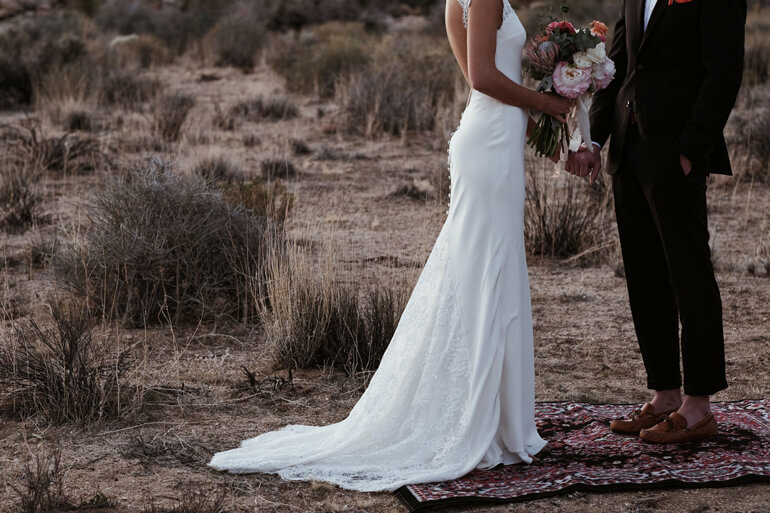 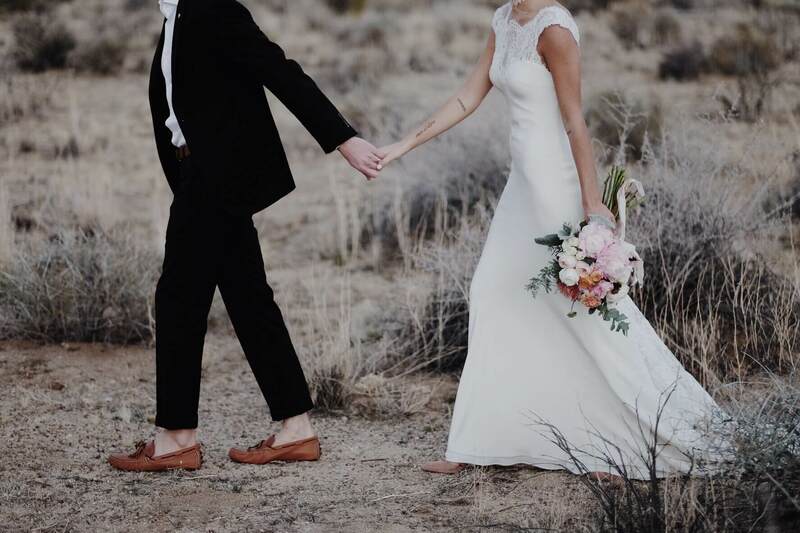 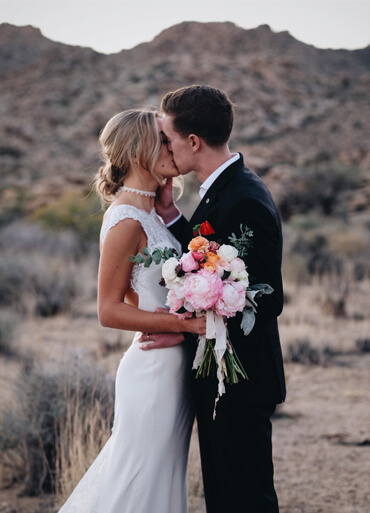 A small family elopement, Alivia and Zeke were married with a private ceremony in Joshua Tree. 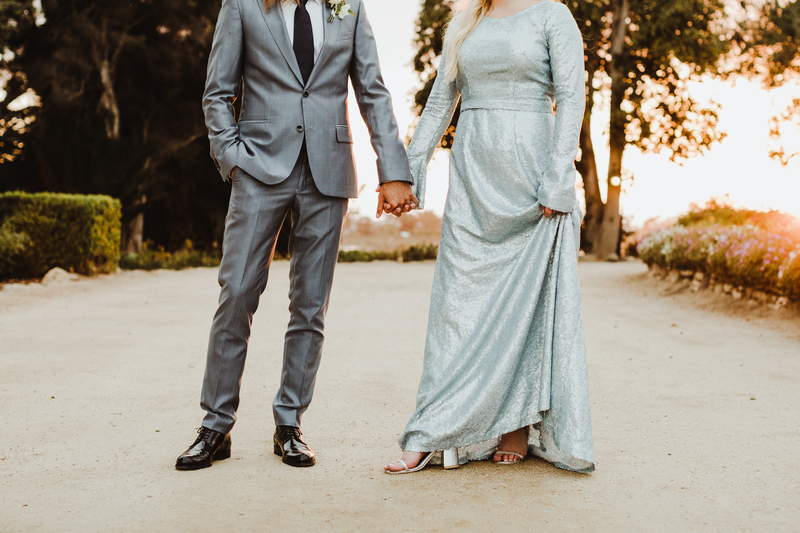 They are true soulmates. 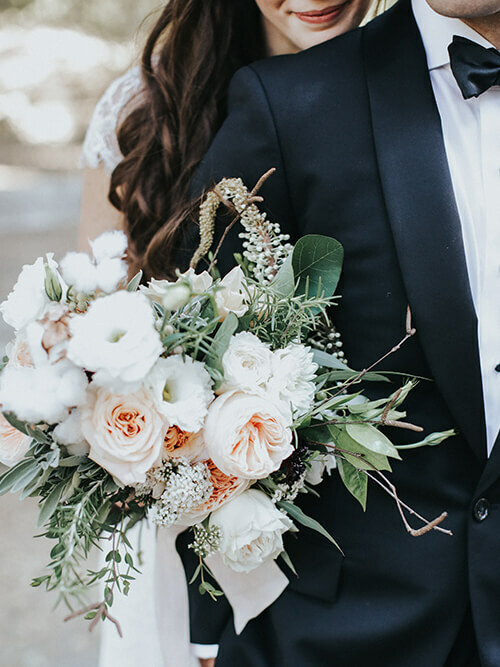 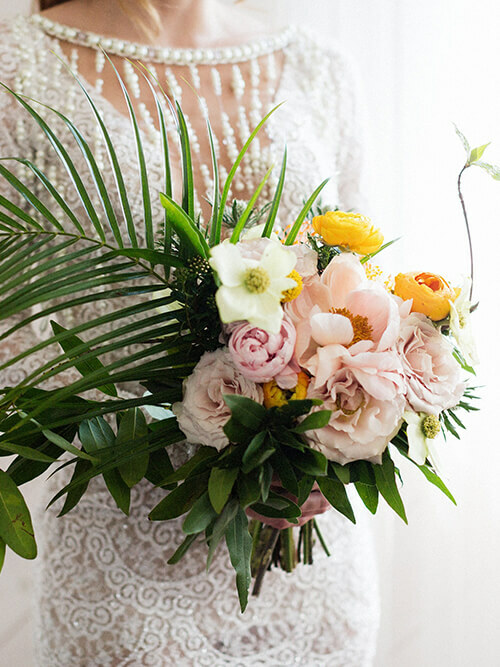 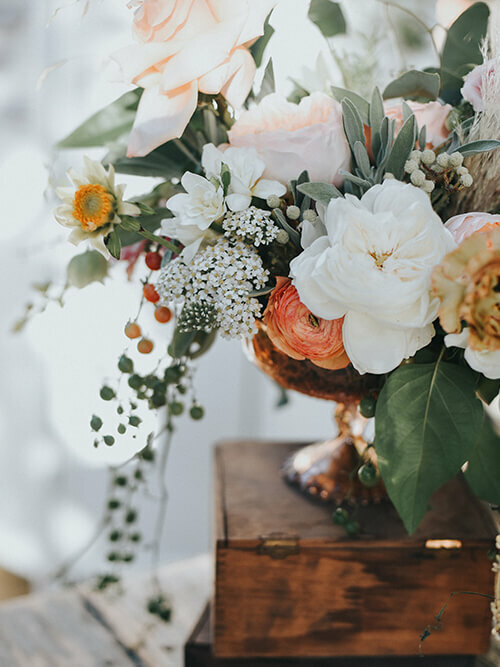 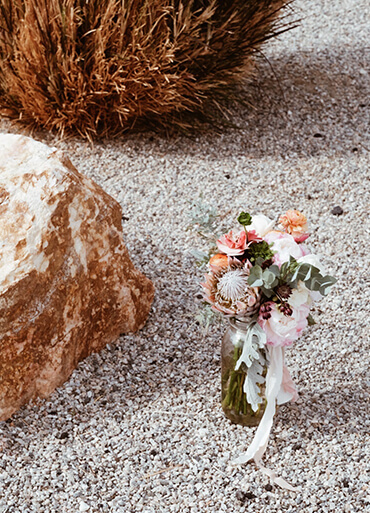 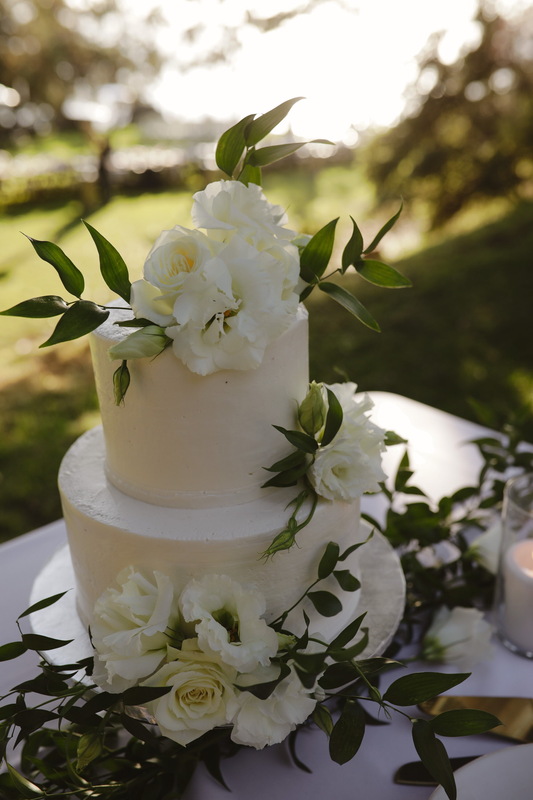 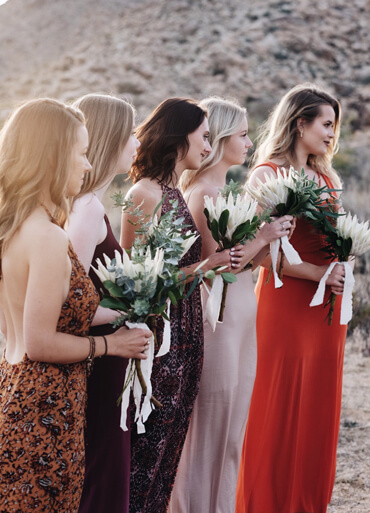 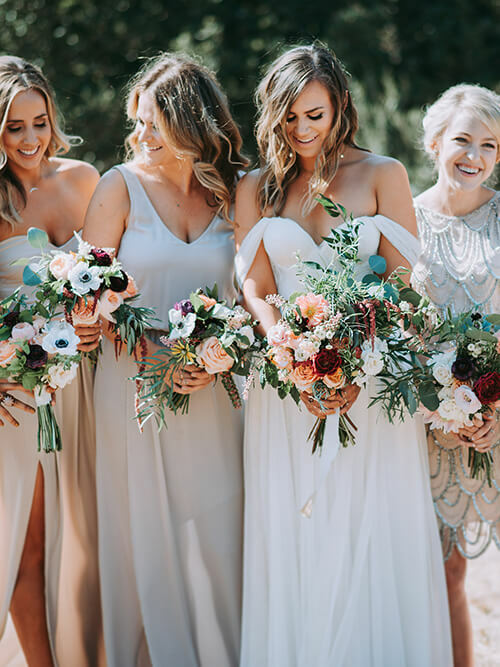 We incorporated peonies, variegated ranunculus, Italian eucalyptus, and acacia for this dreamy desert wedding.